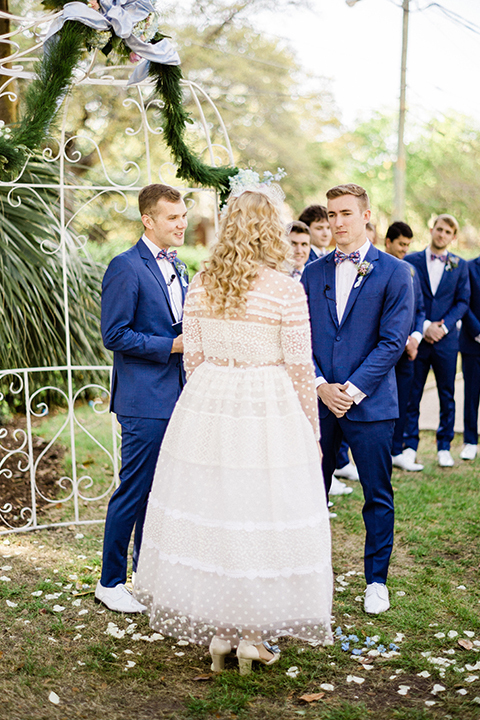 All the Colorful Wedding Inspo You Need! 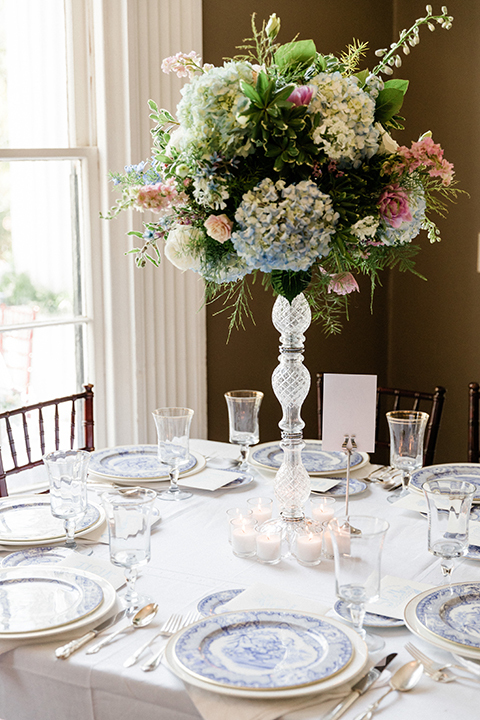 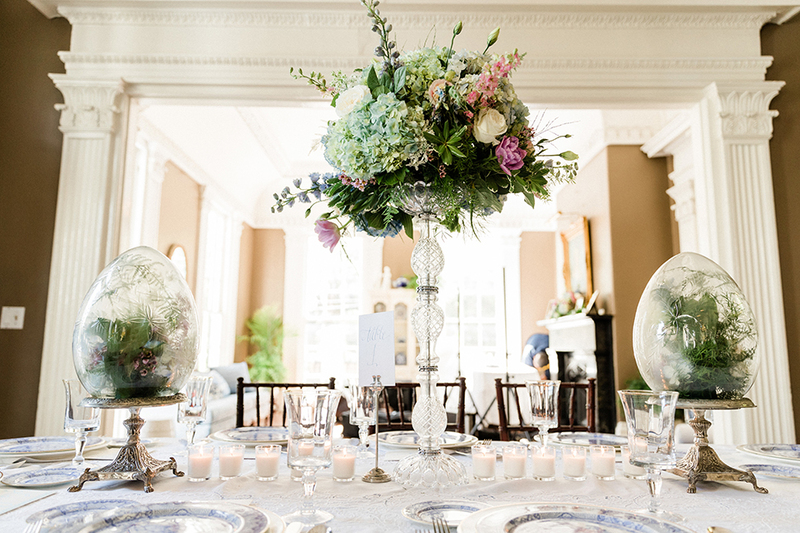 How much does the season of your wedding influence the design? 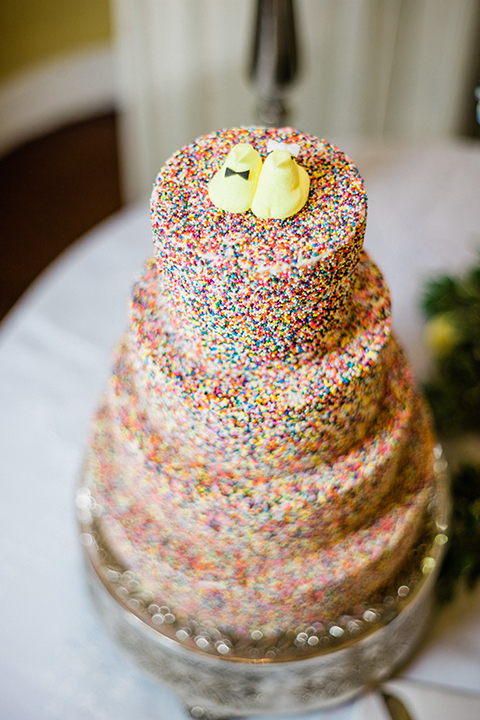 It's a good question that does not have a precise answer. 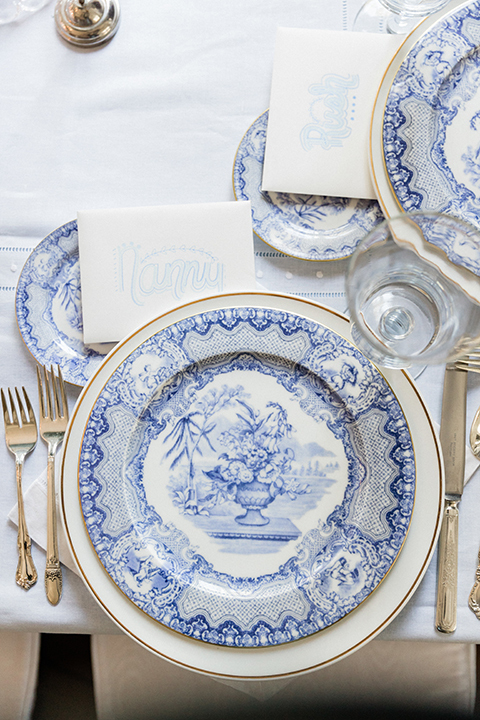 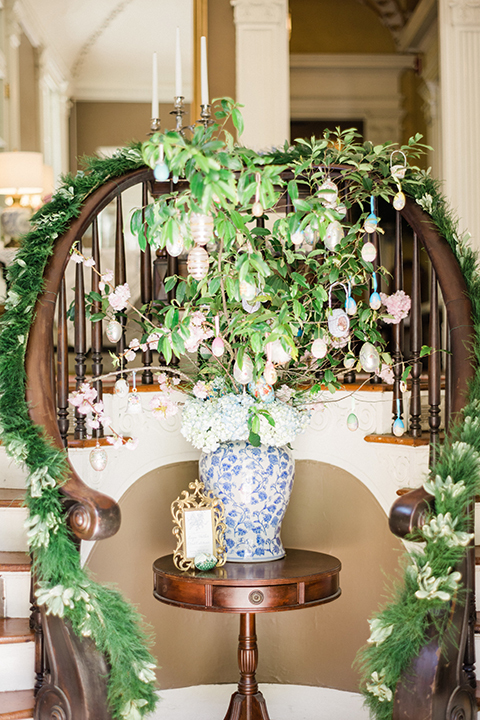 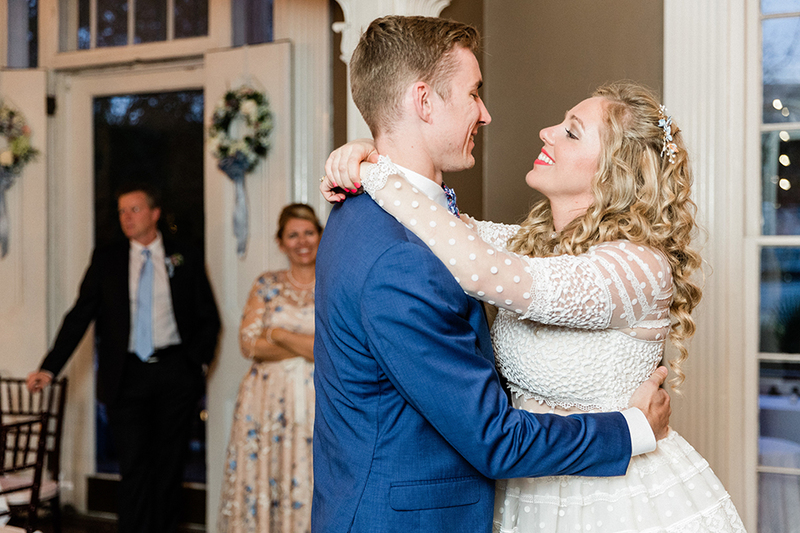 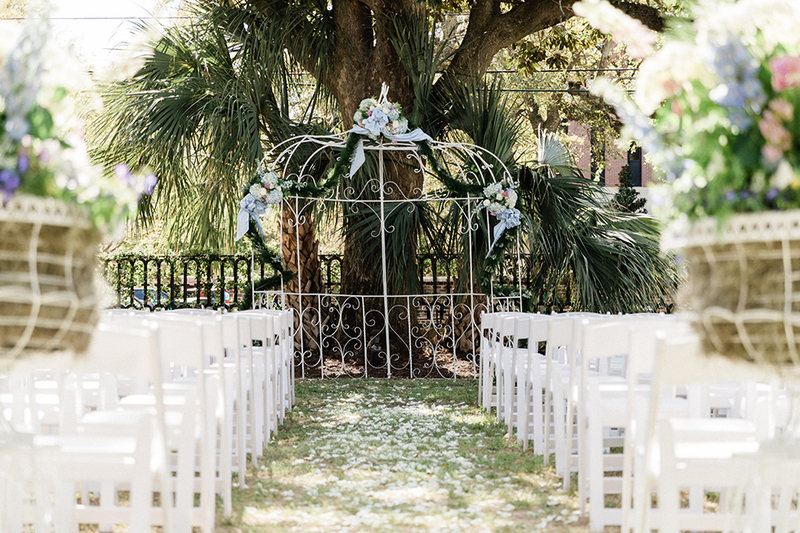 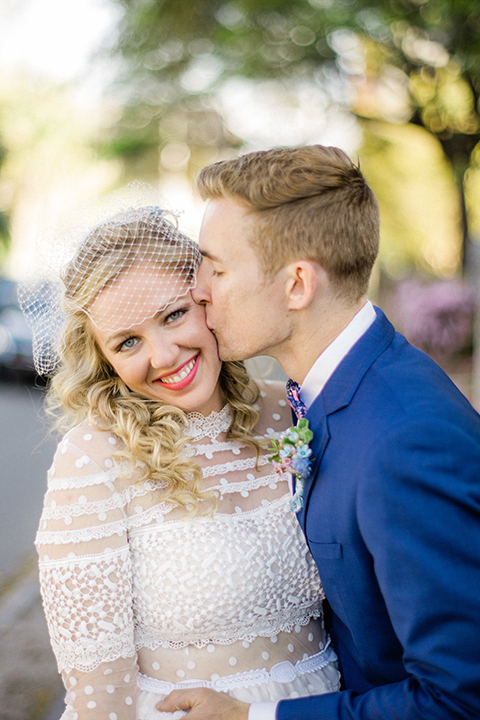 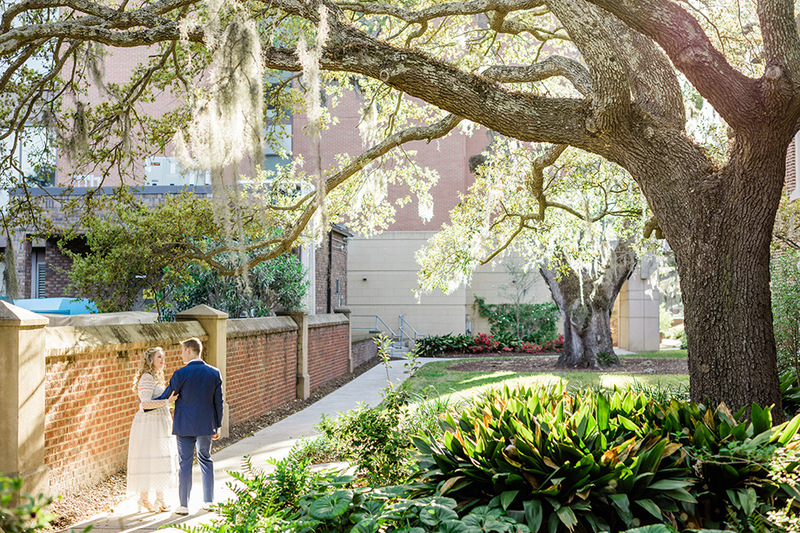 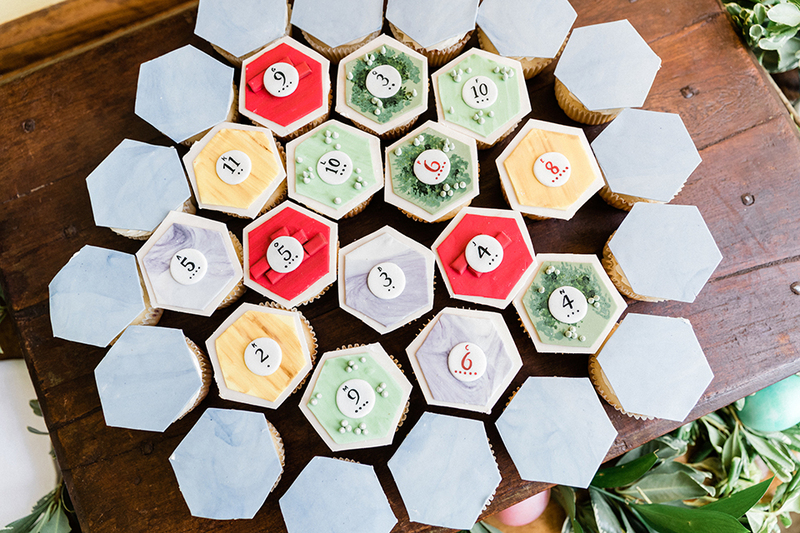 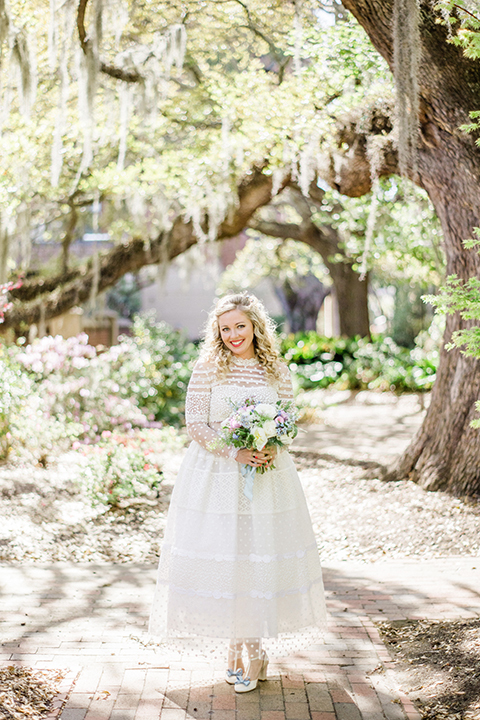 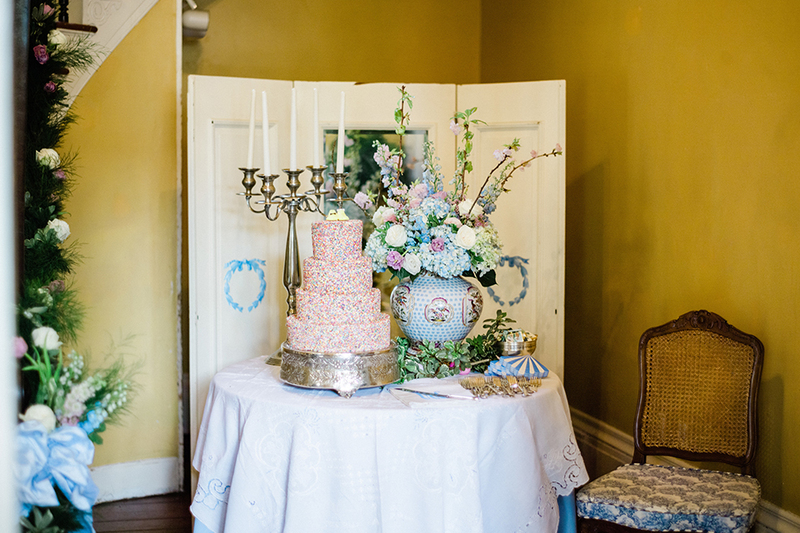 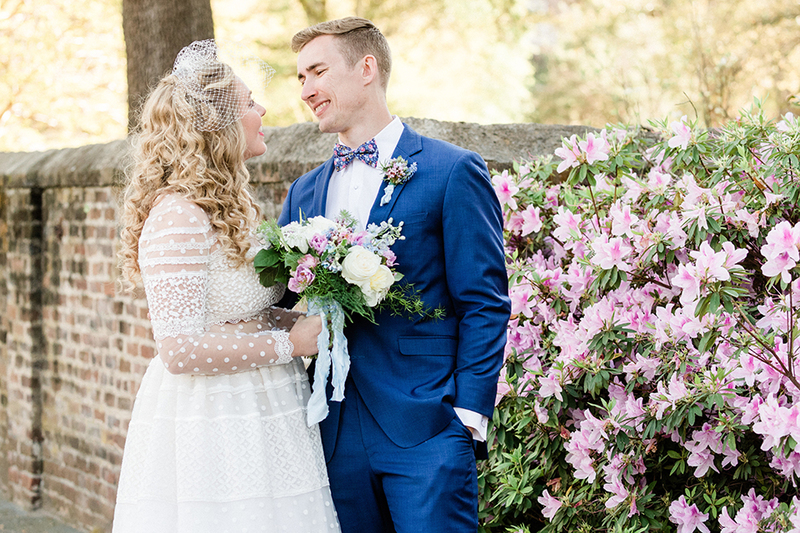 Some couples choose a wedding theme that is season neutral while others, like our customers in this blog feature, choose to embrace the Easter season and incorporate happy colors and sweet details into the design for their big day. 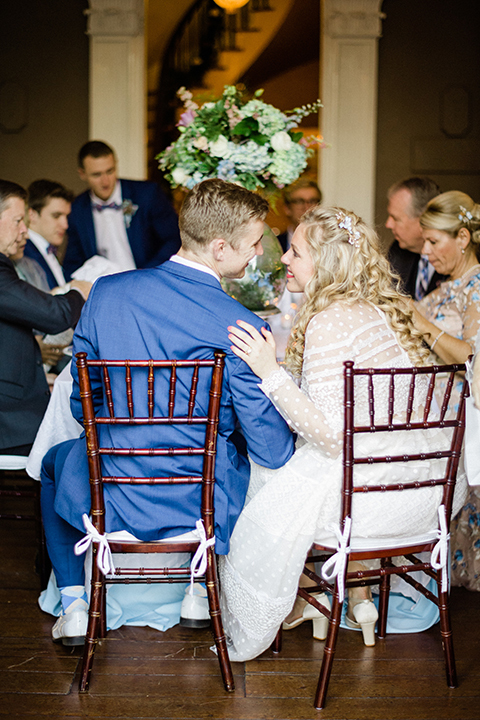 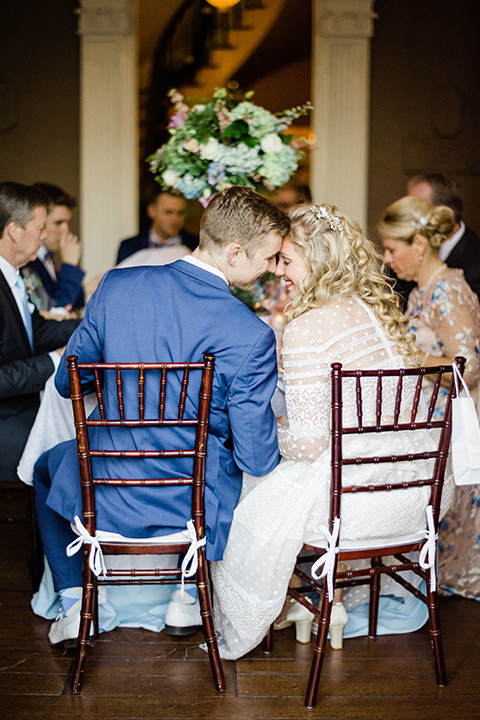 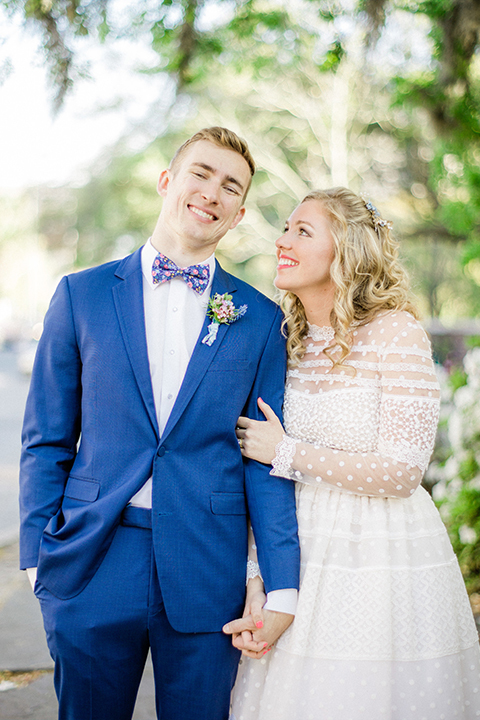 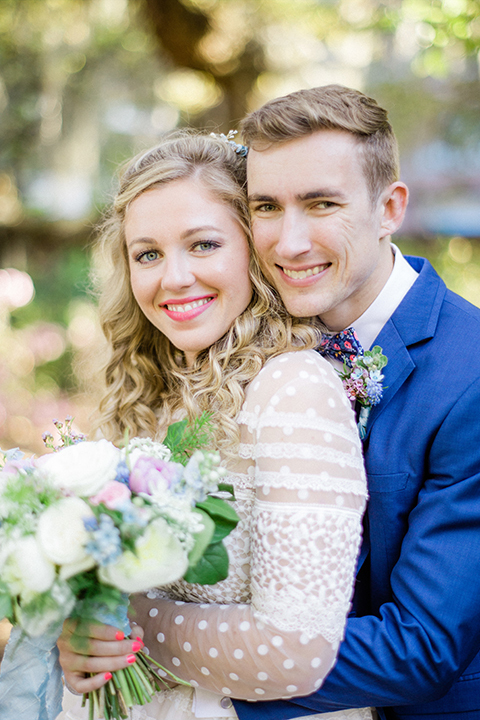 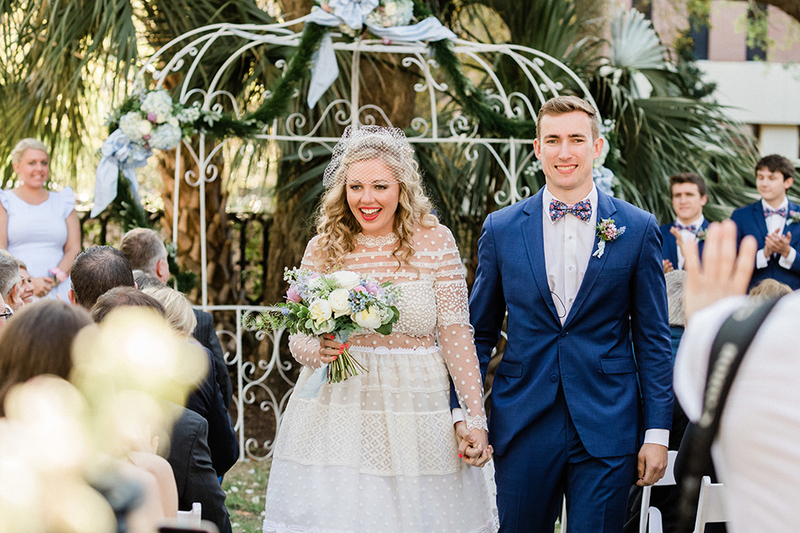 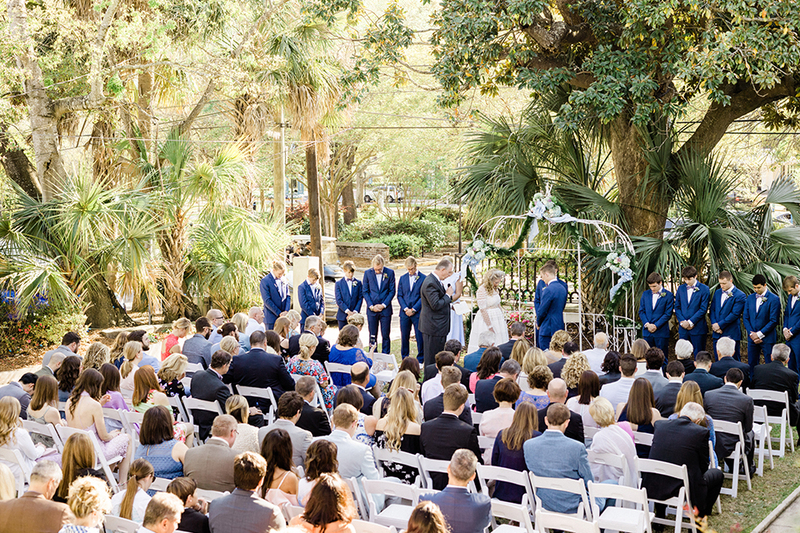 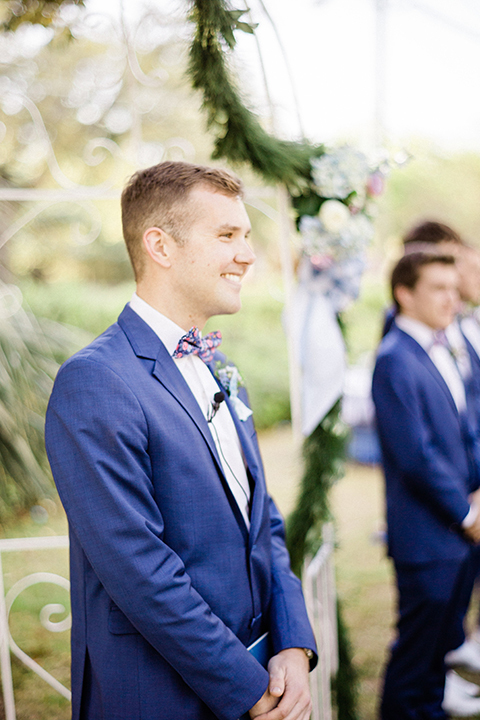 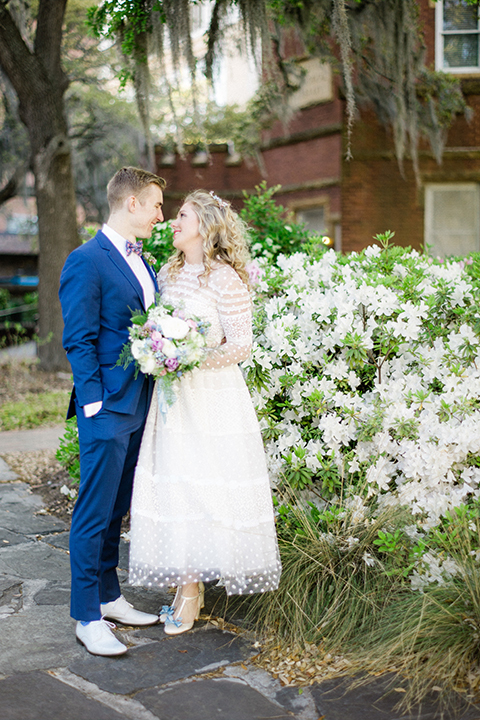 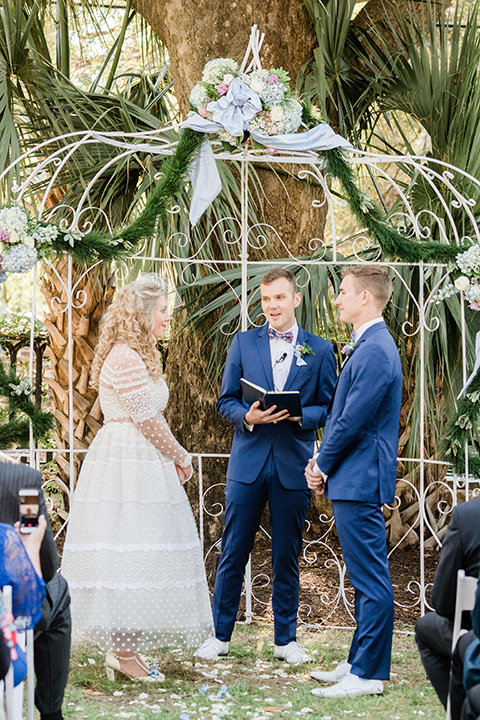 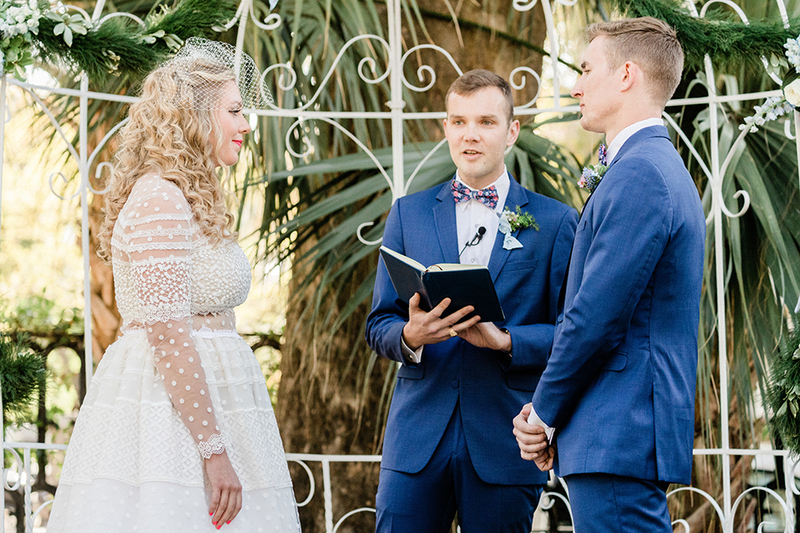 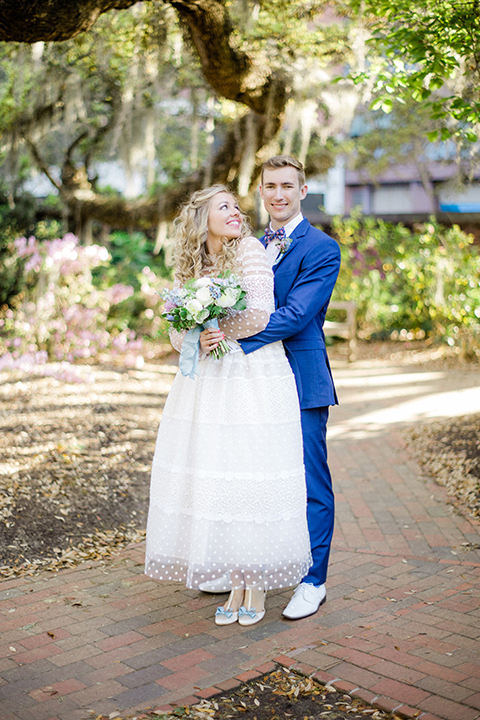 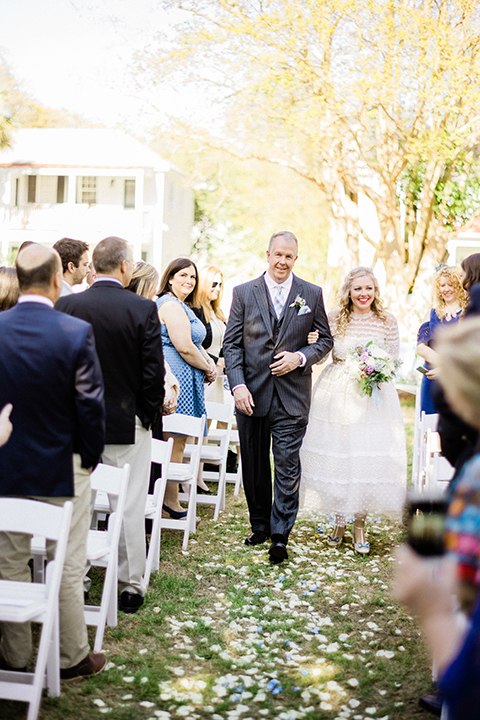 The cobalt blue suit was the perfect choice for an outdoor garden wedding with plenty of bright spring colors. 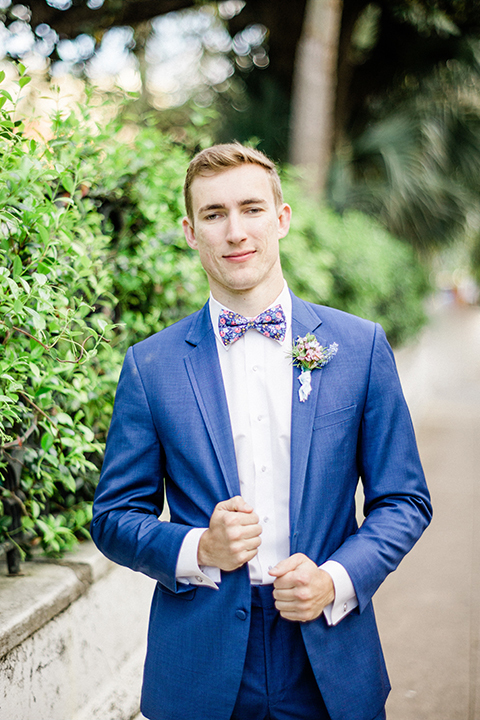 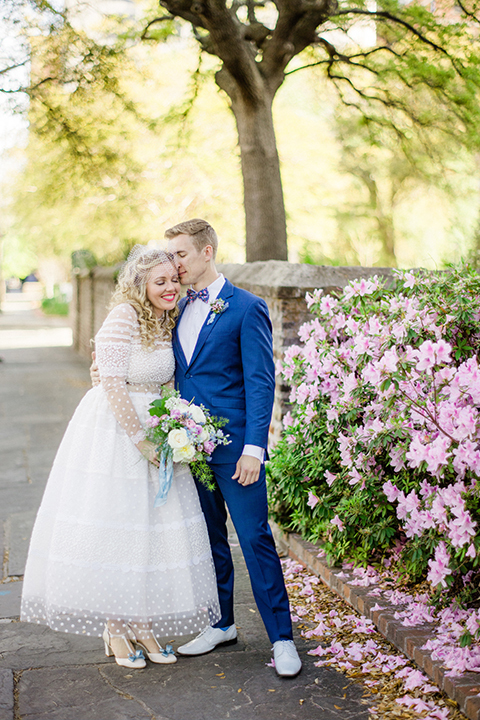 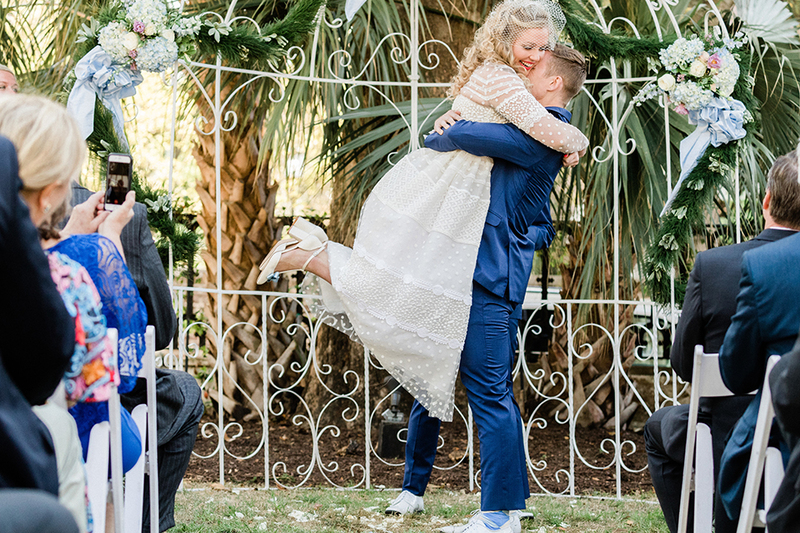 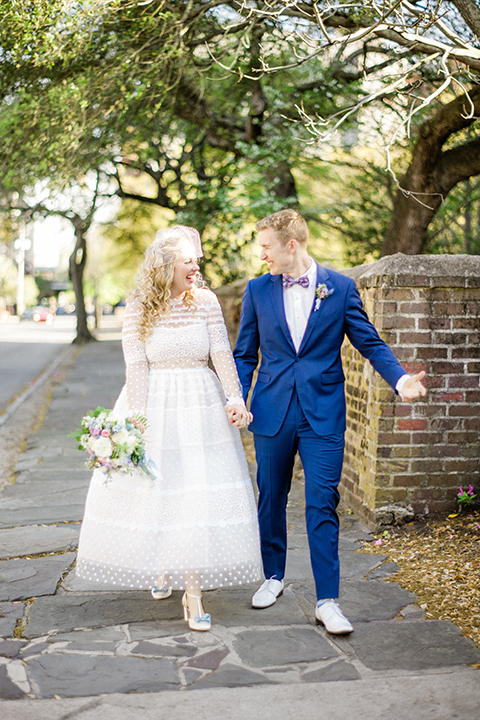 The groom went with an unexpected combo of pairing white shoes with his blue suit and floral bow tie but given the vintage look of the wedding, it was a great choice! 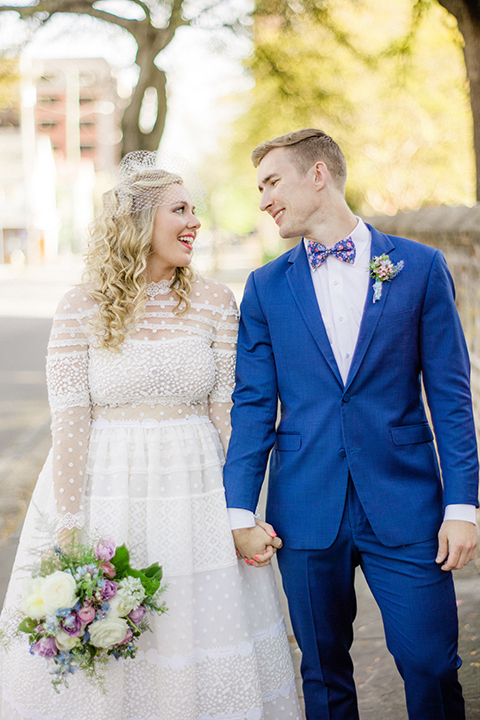 The bride's lace gown and birdcage veil also add to the vintage vibe. 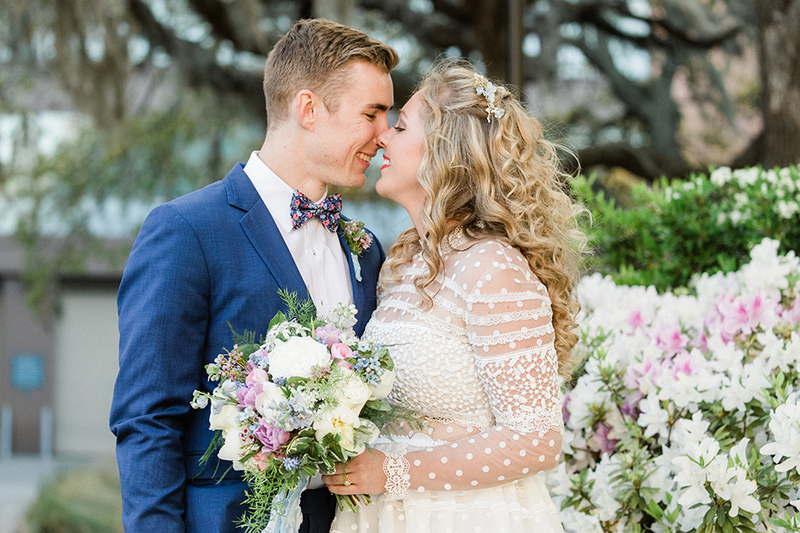 Overall this ranch wedding has so many on trend elements, enjoy the inspo!